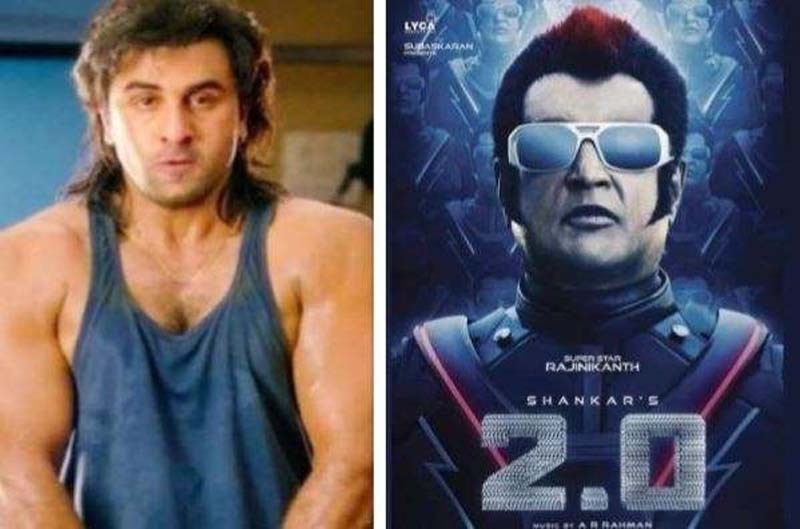 Ranbir Kapoor's Sanju beats Rajinikanth's 2.0, here's how! In the latest list of top trending videos released by YouTube for the year 2018, Ranbir Kapoor's 'Sanju' teaser has left behind Rajinikanth and Akshay Kumar starrer '2.0' trailer which was recently released. It had been a while since Ranbir Kapoor had delivered a massive like 'Bachna Ae Haseeno', 'Yeh Jawaani Hai Deewani' and 'Barfi'. However, the table seems to have turned for the Kapoor scion with Raj Kumar Hirani's 'Sanju' expected to sweep away all the awards this year. Not just in terms of performance, but even when it comes to box-office collection, the film had almost touched Rs 350 crores. In Youtube's list, Sanju movie trailer has bagged the top position followed by Akshay Kumar and Rajinikanth starrer '2.0' teaser. Rajinikanth's 'Kaala' teaser has secured the fifth spot for itself. And the teaser of Shah Rukh Khan starrer 'Zero' is at the tenth spot. 'Daaru Badnaam' choreography by Tejas Dhoke and Zumba dance workout on 'Bom Diggy Diggy Bom' are at the third and fourth spot respectively. 'Behen Bhai Ki School Life' by Amit Bhadana is another video that has bagged the sixth spot in the list followed by 'Teri Aankhiyon Ka Jo Kajal' choreography by Tejas Dhoke at the seventh spot. 'City Crime' an episode from 'Crime Patrol' and 'Dastaan E Dhokha' by Amit Bhadana have secured the eighth and the ninth spot. Shah Rukh Khan starrer 'Zero' is one of the most anticipated movies of the year where Shah Rukh Khan would be seen along with Anushka Sharma and Katrina Kaif. The film, directed by Anand L Rai, would be their first collaboration. World - U.S. Daily News: Ranbir Kapoor's Sanju beats Rajinikanth's 2.0, here's how!